Shipmans Buzzer is a midge pupae pattern. It is legendary and it is effective. Tie it in different colors. I opt for the black, red and clarets. Usually I fish the Shipmans Buzzer in tandem (New Zeeland set-up) with a dry fly, such as the CdC Midge. 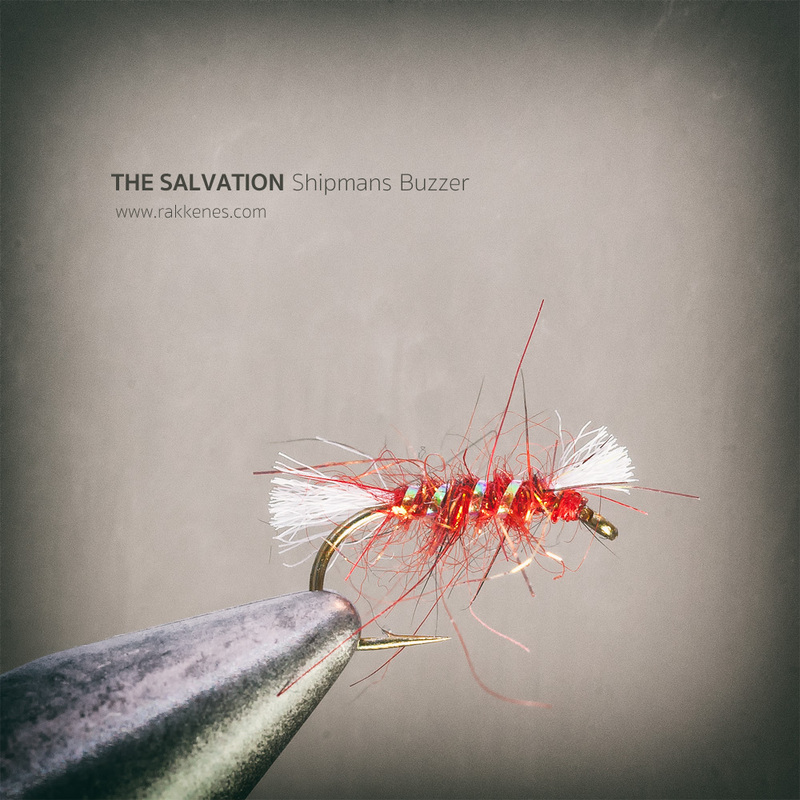 The Shipmans Buzzer pattern was developed by Dave Shipman to perform when the trouts are feeding on the emerging state on chironomids hatching in still water. It’s a pattern mean to be fished in the surface of the film. 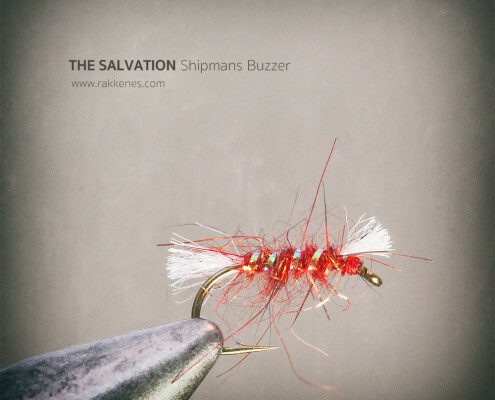 Whats fantastic about the fly is that it works best after a few fish – when its rough and untidy. Therefore use a brush to roughen it up after you have finished the fly on the vice. It comes in several colors, but my experience is that it works best in Claret, Brown, Olive or Red – depending on circumstances and factors that I have yet to understand. Mostly I fish it in Claret. It’s also a good idea to fish it on a New Zeeland set-up. That is tie it no more than 30 centimeter from a dry fly – such as a Palmer Midge or a CdC midge. Use it in a tandem New Zeeland Rig. Apply floatant.